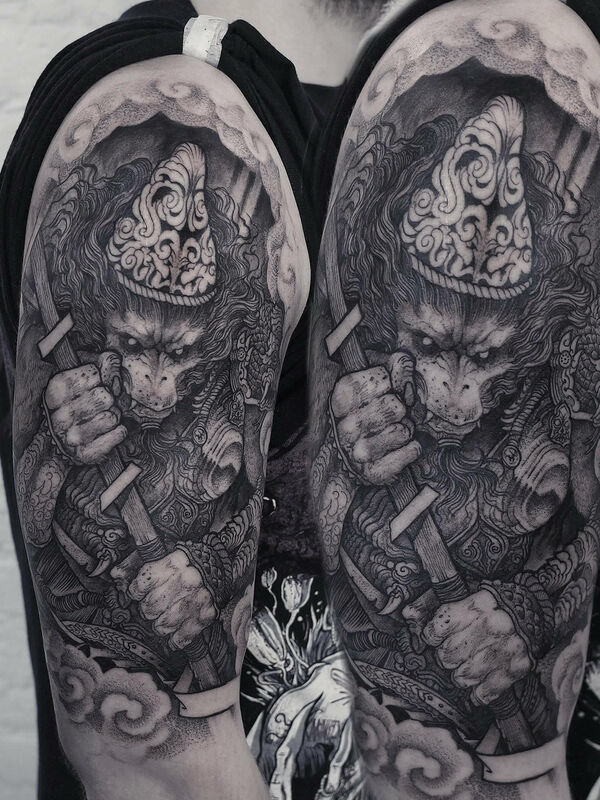 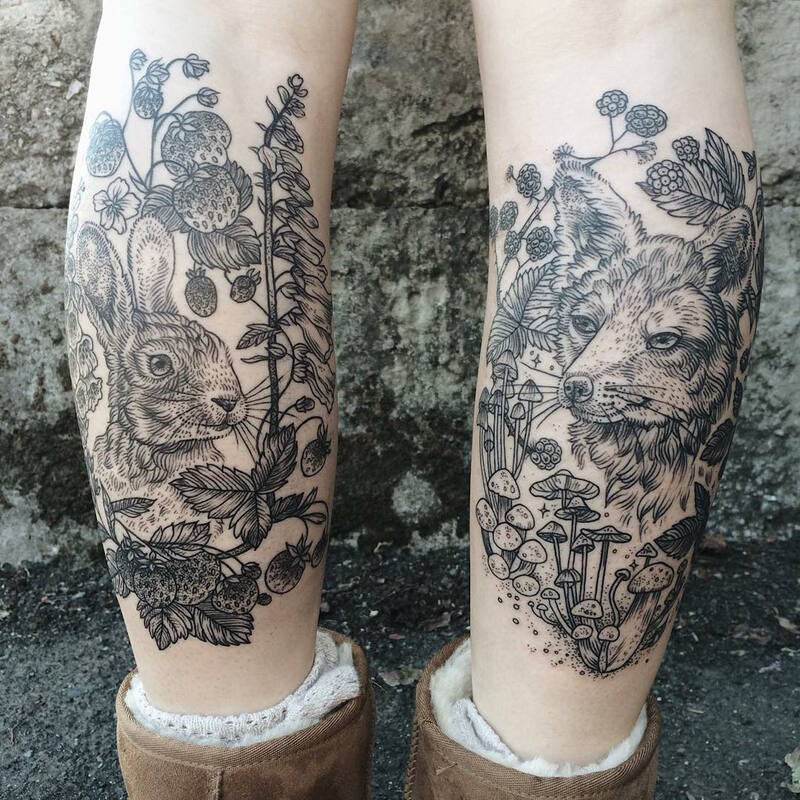 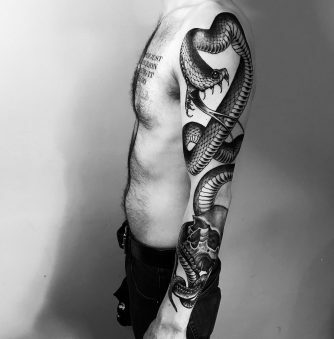 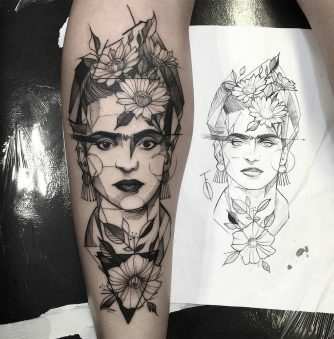 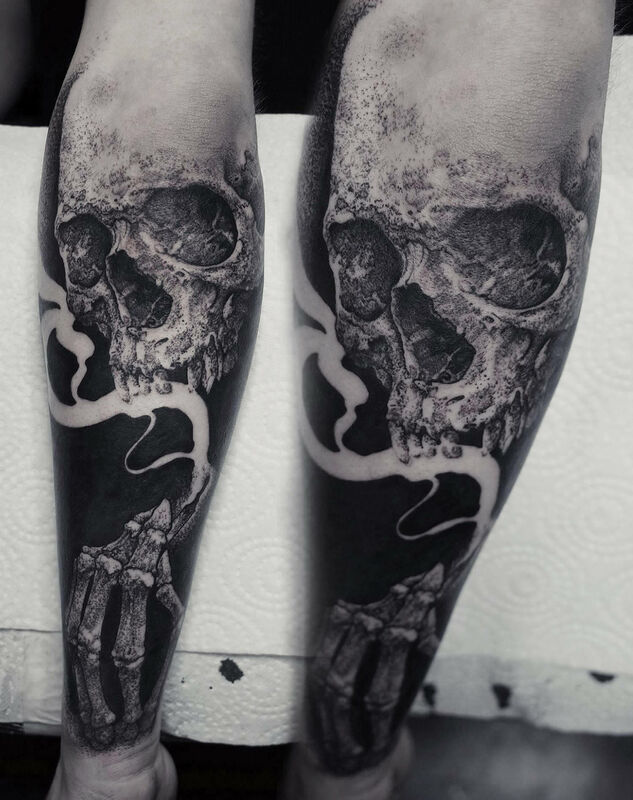 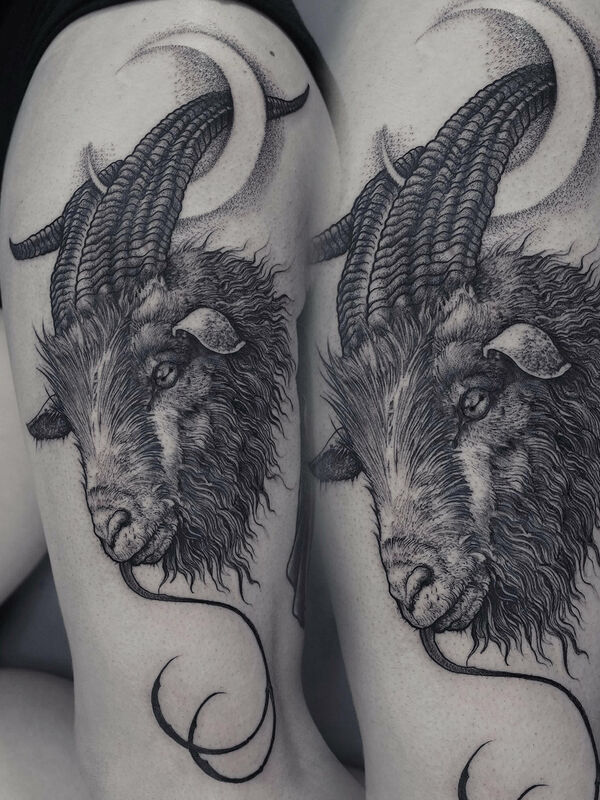 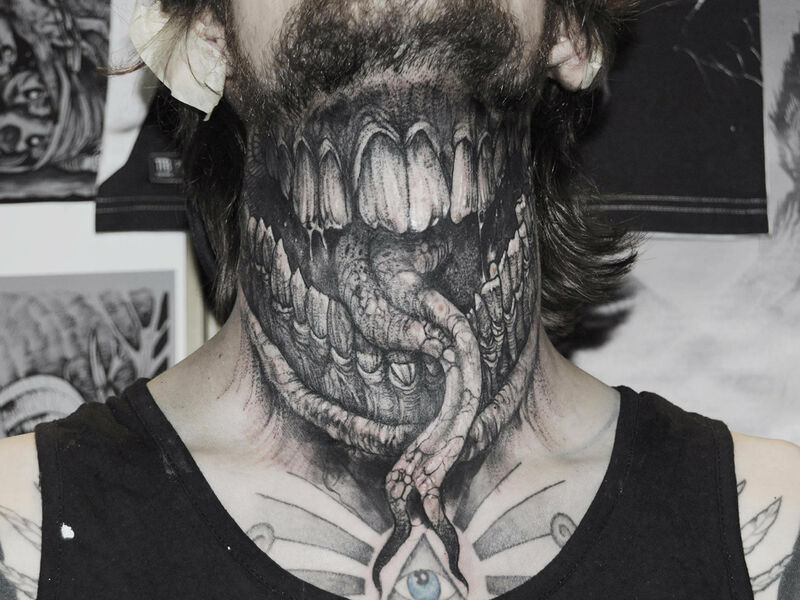 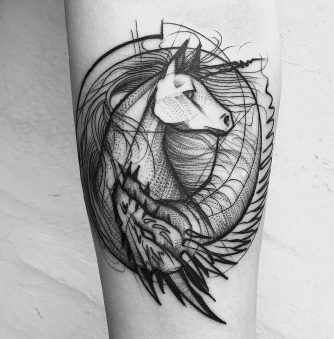 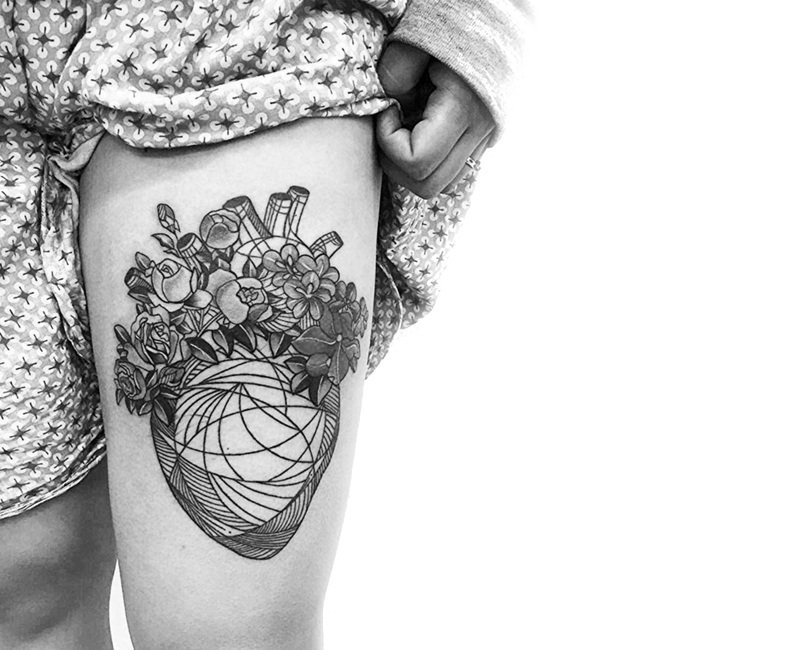 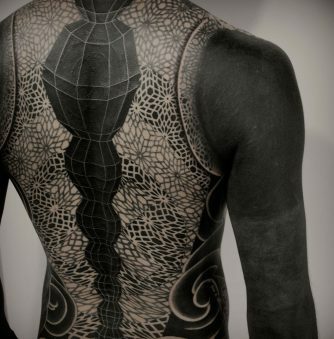 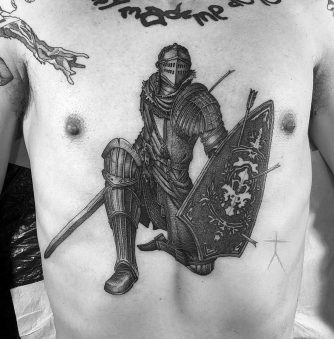 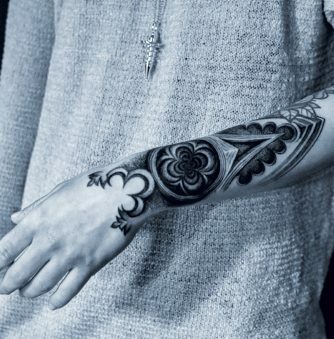 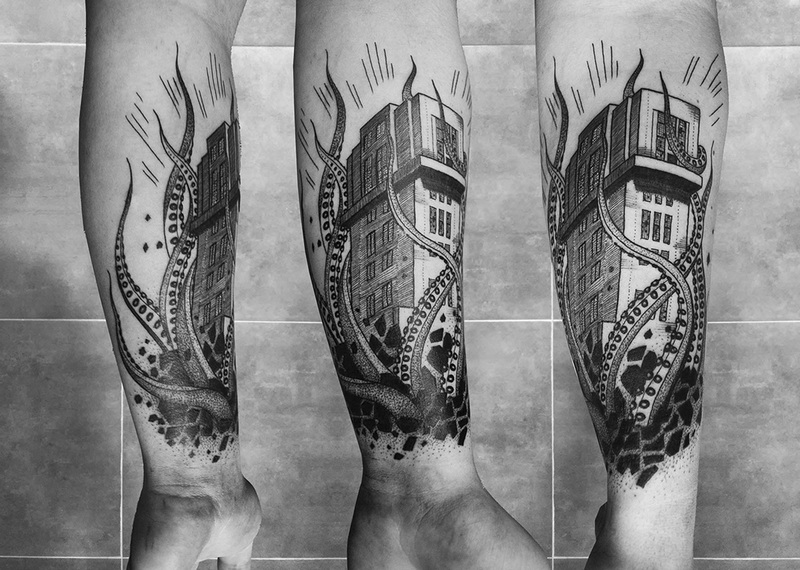 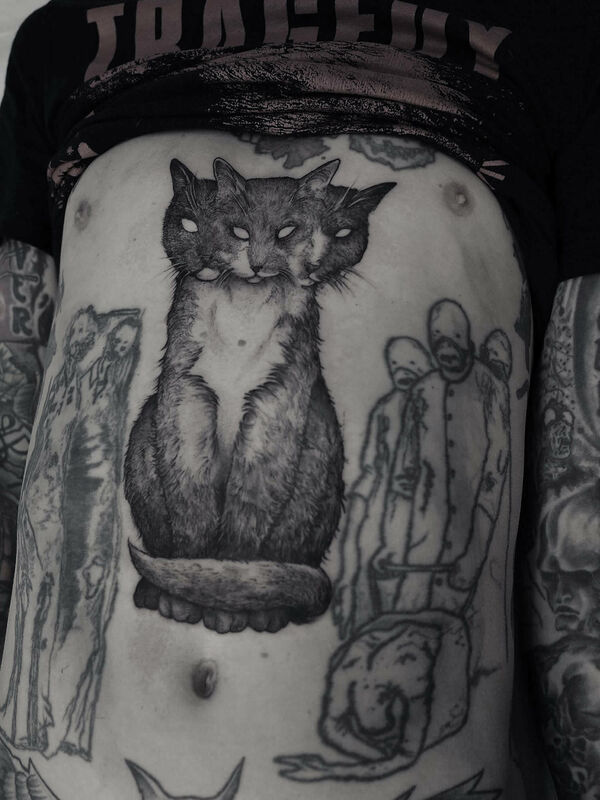 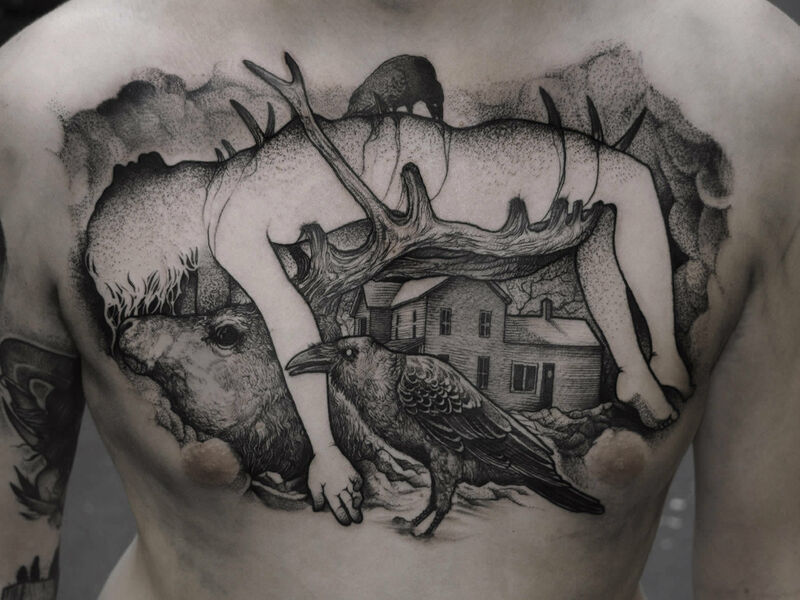 Róbert Borbás (aka, Grindesign) is known for his incredible blackwork tattoos—and deservedly so. 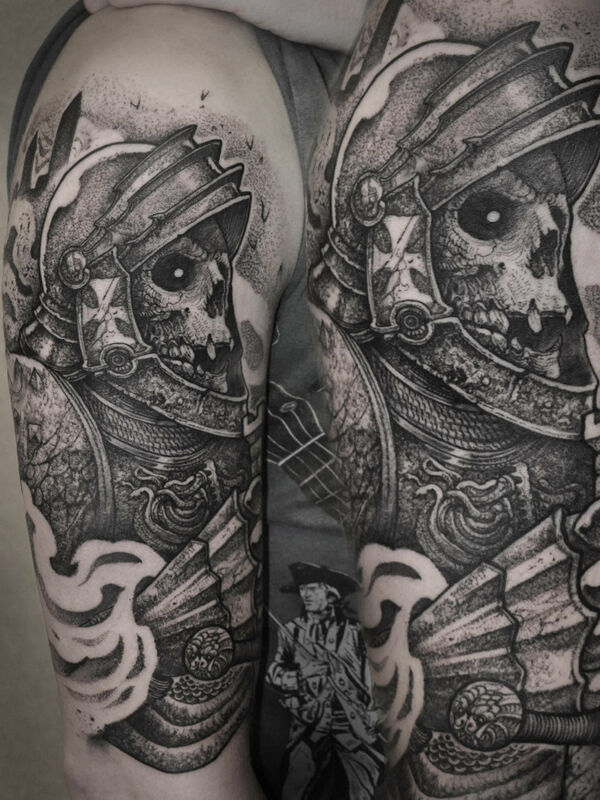 Along with strong lines and flowing compositions, Borbás harnesses the subtle nuances of black and gray ink to produce deep, lush, gothic scenes haunted by demonic animals, moldering skulls, and the restless undead. 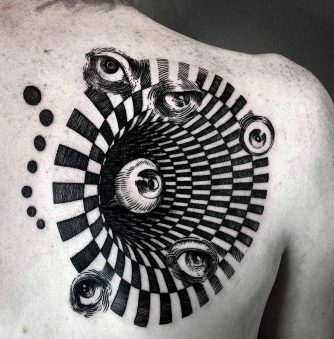 Much of his imagery derives from themes of the occult. 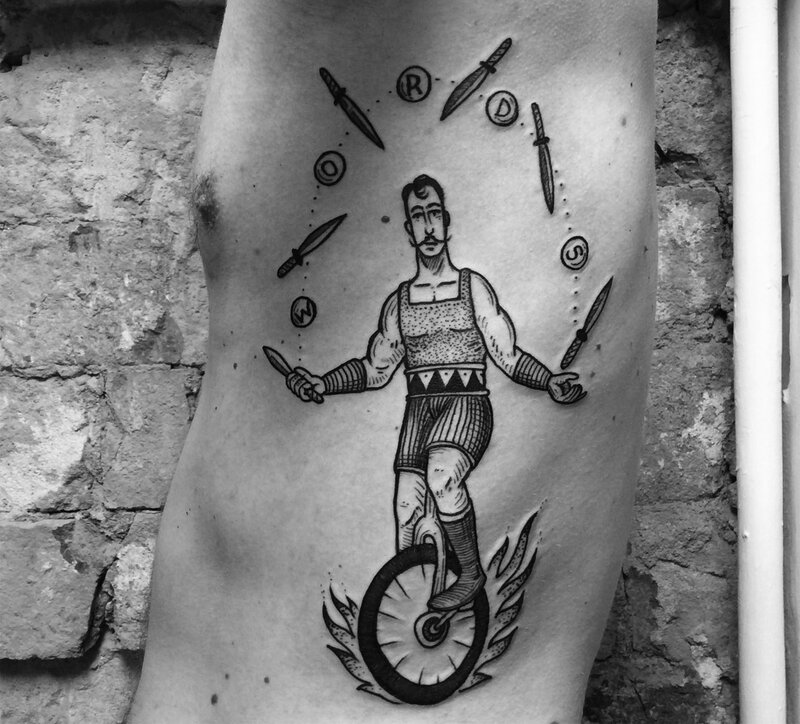 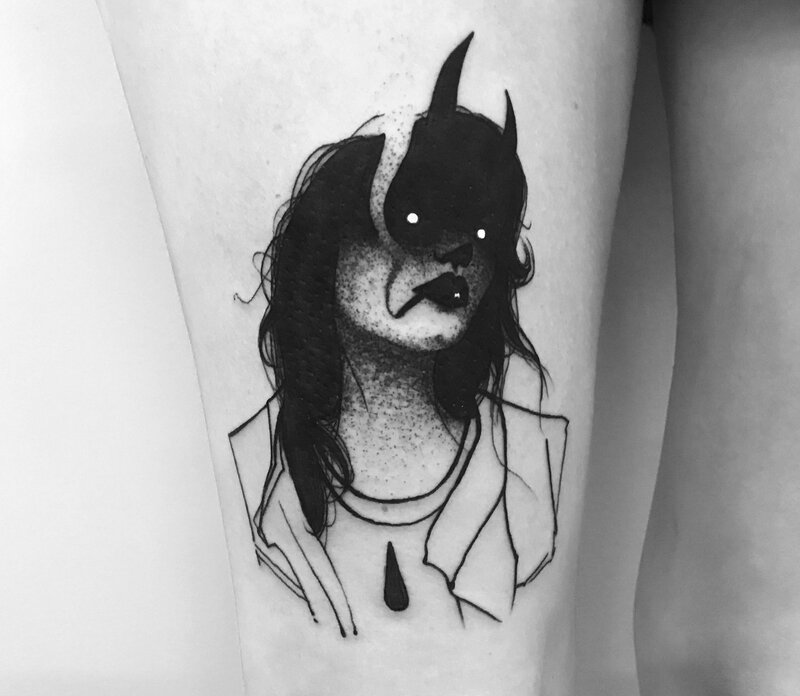 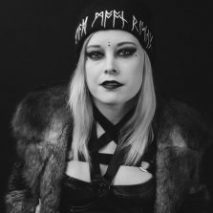 In 2015, Borbás opened up his first shop, Rooklet Ink, located in downtown Budapest.